Activated via the Liverpool Pop Up Project, Made:Here was an artist co-op speciality gift and stationery store situated at Northumberland Street Arcade over a period of 6 months. 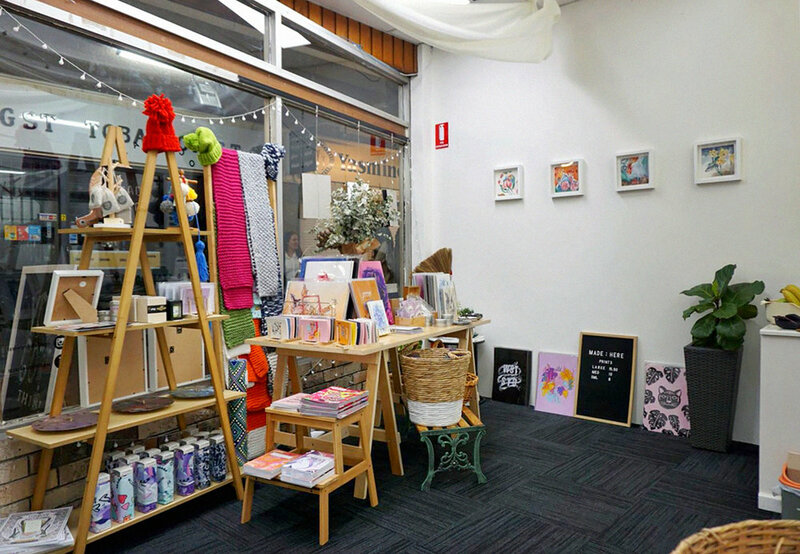 Made:Here invited local Western Sydney based artists and creatives to showcase their works each month; with the hopes of engaging customers through sharing the stories of the makers. 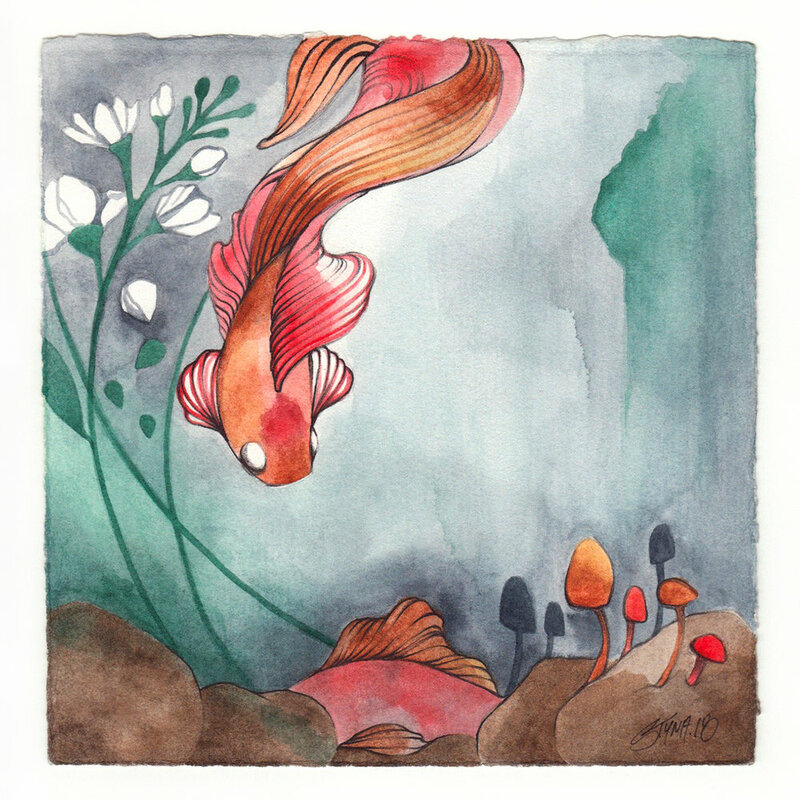 These mini 18cm x 18cm works on paper were created with watercolour, ink and biro pen. 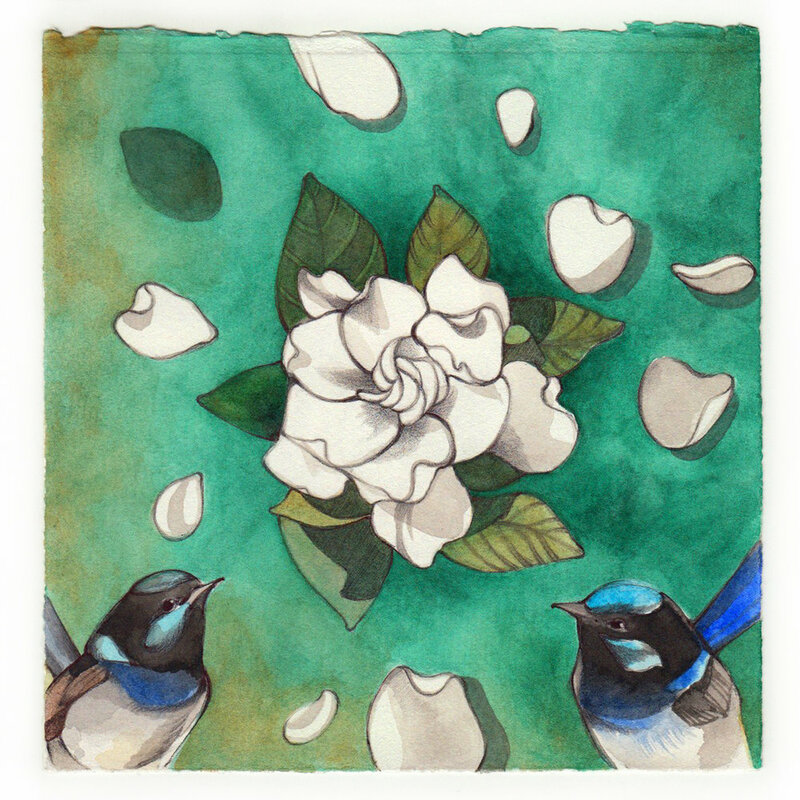 The subject matters are inspired by the sleepy suburb of Greystanes in which all the streets have been named after a flower. I wanted to create a playful series that highlighted each flower and it’s character.